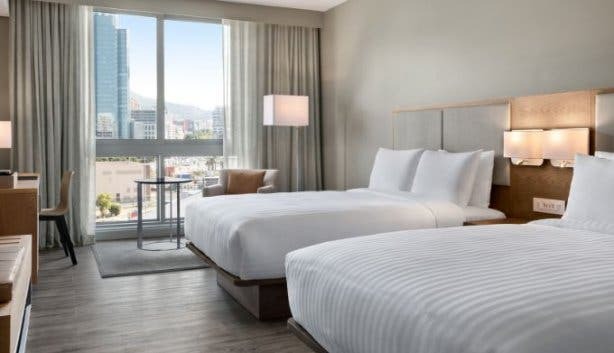 Spacious rooms offering mountain and harbour views. 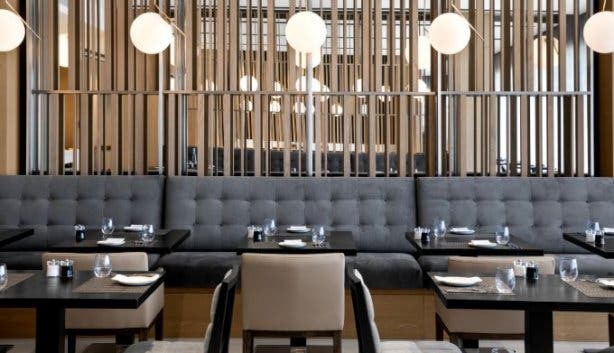 A restaurant serving European-style food with a dash of local flavour. 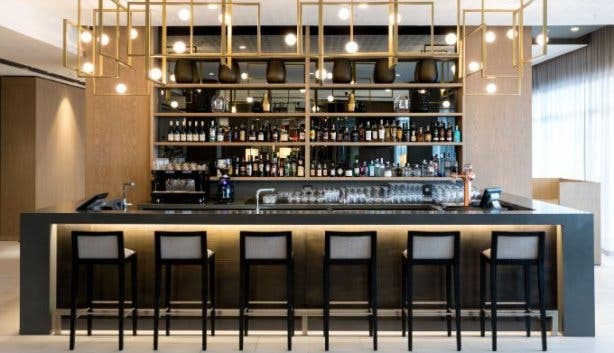 A fully-stocked bar where you can order their signature gin and tonic. A lounge comfy enough to settle into, sit back and read a book. Add to that an outdoor pool, gym, library, boardrooms, a free boat shuttle on the canal connecting the hotel with the V&A Waterfront, and a complimentary breakfast – the brand-new AC Hotel Cape Town Waterfront has thought of everything to make you feel at home. As soon as you walk through their doors you understand why AC Hotels by Marriott’s slogan is “a new way to hotel”. Yes, you are in an upmarket establishment, but you feel relaxed enough to kick back with your feet up. The first thing you notice besides the decor or design is their signature scent. Think the smell of a forest at dawn – fresh and soothing. 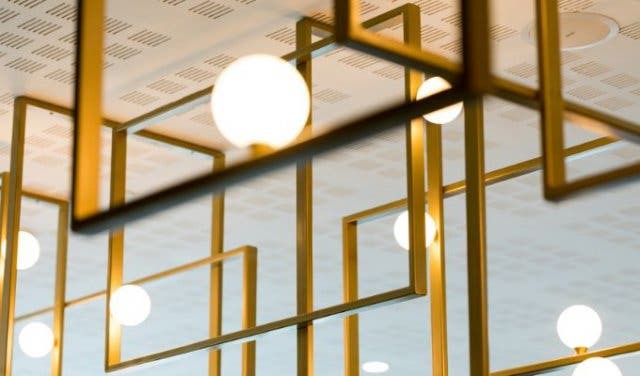 The result is a blend of contrasts – angular and modern, yet earthen and inviting – that encapsulates all the hotel hopes to bring to its guests. 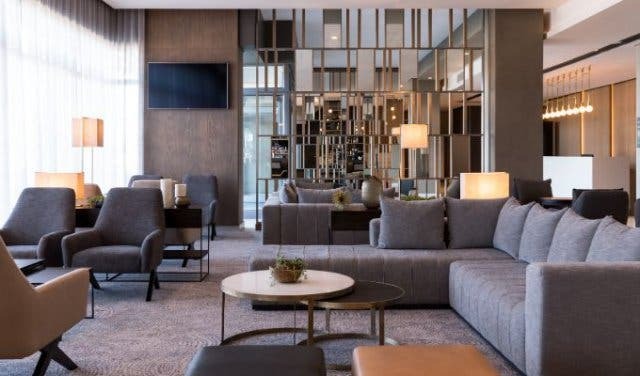 Take a stroll through the hotel (while an invigorating aroma fills your airways and gentle music plays in the background) and you’ll notice the classic modern design with its European soul and Spanish roots. The wood trimmings and locally-influenced art is also very easy on the eyes. 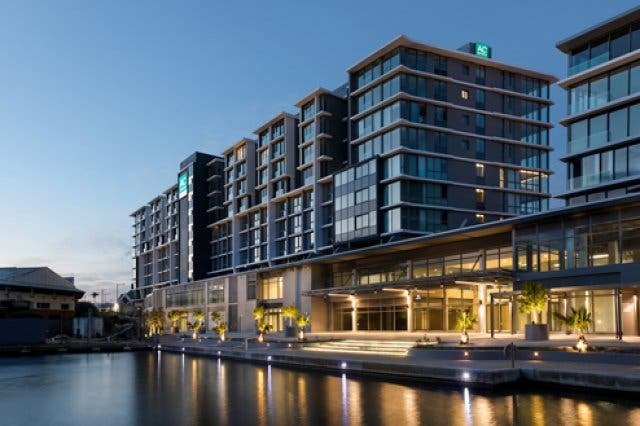 The hotel, situated on the quiet Dockrail Road next to the harbour, opened its doors on 1 December 2018, marking the brand’s debut in Africa. There are 188 rooms (from small to large suites), which can accommodate up to 400 people. AC Hotels by Marriott was born out of the entrepreneurial spirit of renowned hotelier Antonio Catalan. 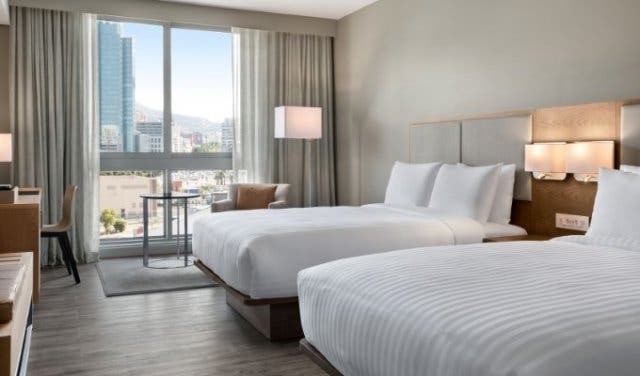 AC Hotels and Marriott formed a joint venture in 2011. 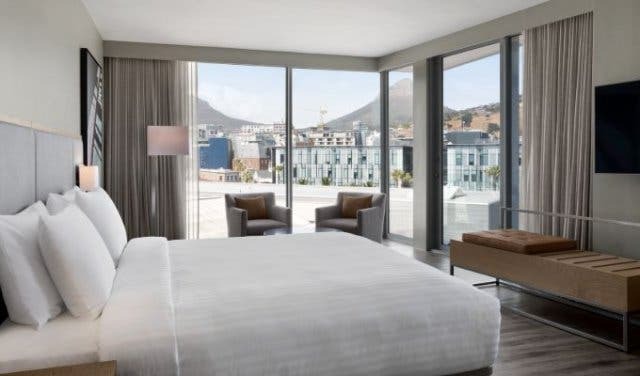 Within close proximity to the lively V&A Waterfront, the hotel provides easy access to the city’s finest shopping and entertainment facilities, including nearby landmarks such as Robben Island Museum and Zeitz Museum of Contemporary Art Africa. 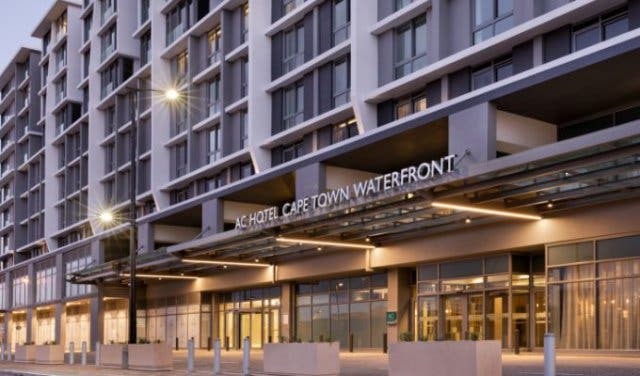 Guests get a complimentary shuttle to the Cape Town Convention Centre and V&A Waterfront via car or boat from the conveniently located jetty at the AC Hotel Cape Town. 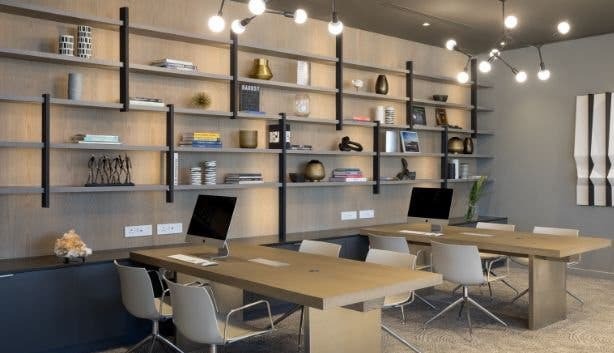 The AC Lounge is a creative hotspot by day, which includes a co-working space, and a social hub by night. The nearby bar is where you can try one of their signature beverages, like the Gintonic. They have partnered with local supplier Geometric Drinks, who produce a tonic syrup from their natural and locally-foraged ingredients found in the Franschhoek valley. Otherwise, try their famous Spanish communal drinking tradition, drinking from vessel called a porron. This unique instrument fosters communal drinking and allows for an enticing experience. Have a question about the city? Talk to their bartenders, who are always happy to offer the real inside scoop. Guests can savour the brand’s Spanish roots with delectable tapas from fresh and locally-sourced ingredients at the AC Kitchen. 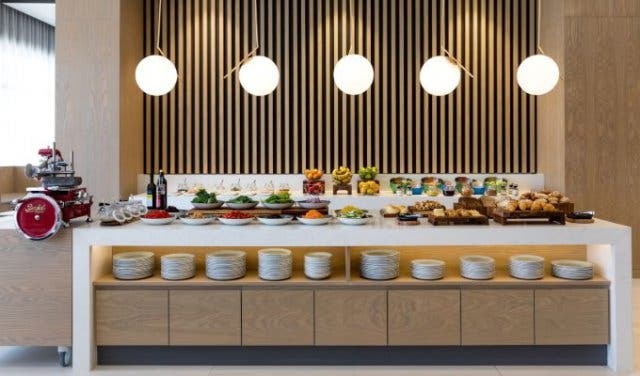 The AC Kitchen serves a European-inspired breakfast each morning featuring assorted European and domestic cheeses, freshly baked croissants, artisanal cured meats (cut by the hard-to-miss big, red Berkel meat slicer), a selection of yoghurts and cereals, seasonal fruits and sweet and savoury tarts. You can also order something off the menu, such as the brioche French toast or the eggs Benedict. Wash your breakfast down with a fruit juice and a coffee. For lunch, try the buttermilk-fried chicken (dressed slaw, rooster aioli and toasted brioche) or the pan bagnat with flaked tuna, olive tapenade, tomato, egg and garlic aioli. For supper, snacks such as crispy fried squid and tartare aioli are on the menu, as well as light meals like caramelised melon spring salad. 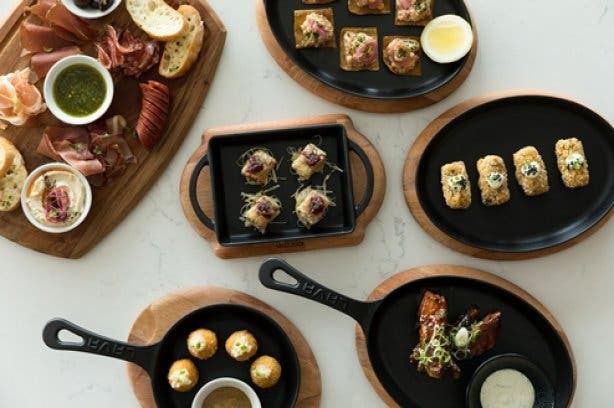 If you’re really hungry, you can order something from their Bertha oven – among the offerings are seared tuna steak, sticky lamb ribs with herb yoghurt and apple and fennel slaw, or the pork belly rashers. 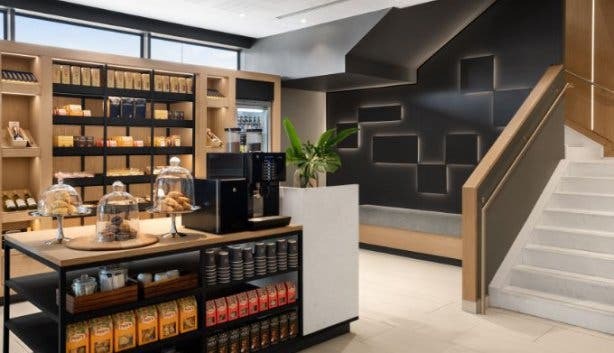 In place of room service, you can pop down to the AC Market, which offers a convenient grab-and-go deli. All retail rates include a free buffet breakfast. 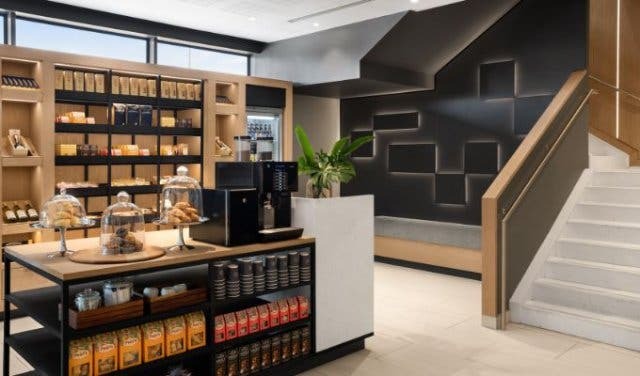 Other features include the AC Library, a quiet space tucked away from the buzz and lined with interesting and ever-evolving reading material, as well as a fitness centre with state-of-the-art equipment, and an outdoor pool. 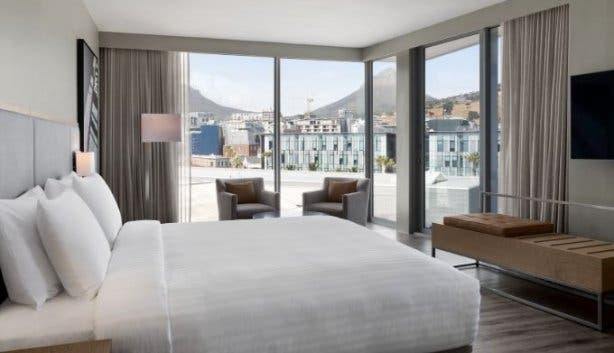 Located within walking distance of the Cape Town International Convention Centre, it also features four flexible meeting rooms and a boardroom with a total of 250 square metres of event space, boasting natural light and stunning harbour views. Enjoy amenities such as a mini-fridge and high-speed internet access as well as hotel staff who are dedicated to making your visit special. 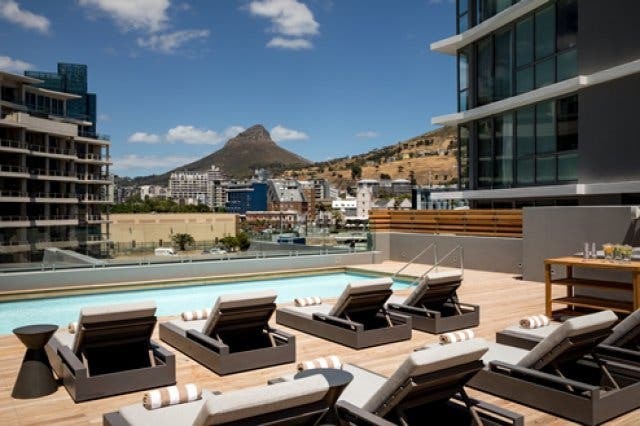 The hotel’s green status also sets it apart from other establishments in the Mother City. Some of its green initiatives include: a desalination plant; population sensor lighting to save power; heat pumps to supply hot water, eliminating the use of heat elements; and biodegradable straws and packaging. Looking for things to do at the Cape Town waterfront or Sea Point? Discover unique function venues or places to host your end of year party. 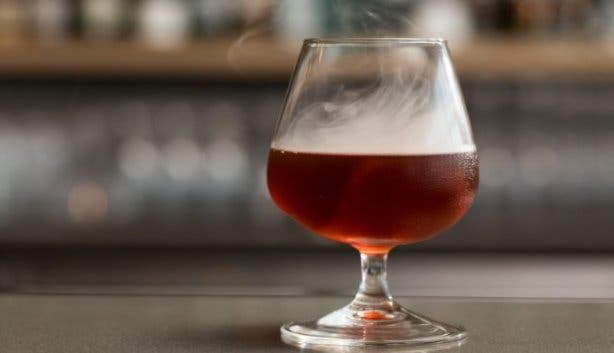 Check out where you can find the best cocktails in Cape Town. We have compiled a list of some awesome restaurant and experience specials, as well as accommodation specials.